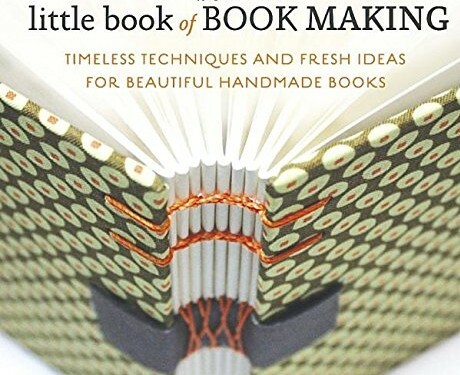 Little Book of Book Making has two main sections: the first part shows amazing examples of handmade books and the second has tutorials from the artists showing many bookmaking techniques. The paper marbling stood out to me and I’ve already practiced it on a small scale to get familiar with it. It’s really fascinating to see the styles and types of books that different artists have crafted, from the stitching and binding to the covers and fasteners. I love the accordion look, as well as the interesting origami style folds in many of the examples. All of the styles in Little Book of Book Making are inspiring and would add so much to a book of handwritten poetry or illustrations.